Christine Cervino Grider trained at Central Pennsylvania Youth Ballet under Marcia Dale Weary. She later trained and danced professionally with Ballet Memphis and Pittsburgh Ballet Theatre, dancing both corps and soloist roles in such ballets as The Nutcracker, Giselle, The Sleeping Beauty, and Romeo & Juliet. 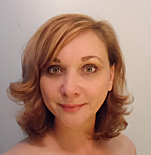 Ms. Grider has almost 20 years of teaching experience, and has taught all levels of students in ballet and pointe in addition to teaching creative movement and pre-ballet classes. She has taught at such notable schools as The School of Ballet Memphis, Pittsburgh Youth Ballet, and Bounds Dance Studio. Ms. Grider also served as Associate Director of Triangle Youth Ballet for 11 years. Ms. Grider has choreographed and set such major ballets as Giselle, Twelve Dancing Princesses, and Cinderella, and was awarded the Emerging Artist Grant by the Durham Arts Council for her staging of The Sleeping Beauty. Her original choreography has been chosen through adjudication for performance at Regional Dance America’s national festival in 2007, as well as the Southeastern Regional Ballet Association’s regional festivals in 2010, 2011, and 2014. Ms. Grider joined The Raleigh School of Ballet in 2014 and currently serves as permanent faculty and office manager.